Here is a very easy, tasty, healthy havyka recipe for you. I learnt this recipe from my aunt Sowmya Bhat. We can use varieties of veggies like Beans, Green Tomato, Capsicum, yellow Cucumbe, Okra etc to prepare this tasty curry. I have used Long beans. It goes very well with plain rice. Give it a try, have fun cooking. Cook the chopped long beans with salt and about 3 cups of water (as required). 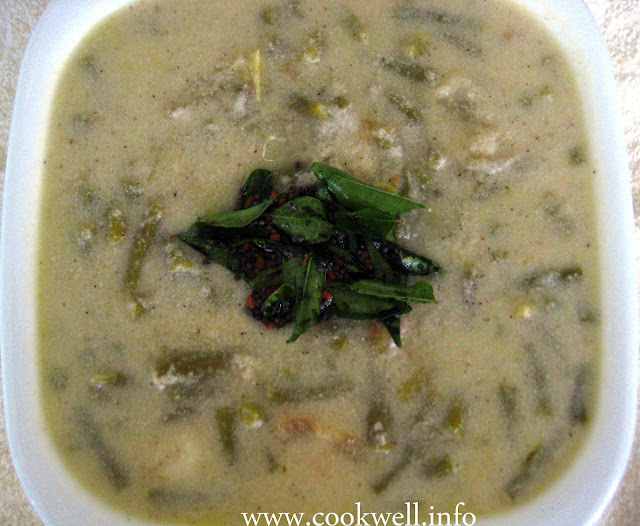 Grind the Coconut, Green Chilies, Tamarind and Rice flour with some water into smooth paste. Add to the cooked Long beans. Boil for 5-6 mins. Add the butter milk and bring to a boil. 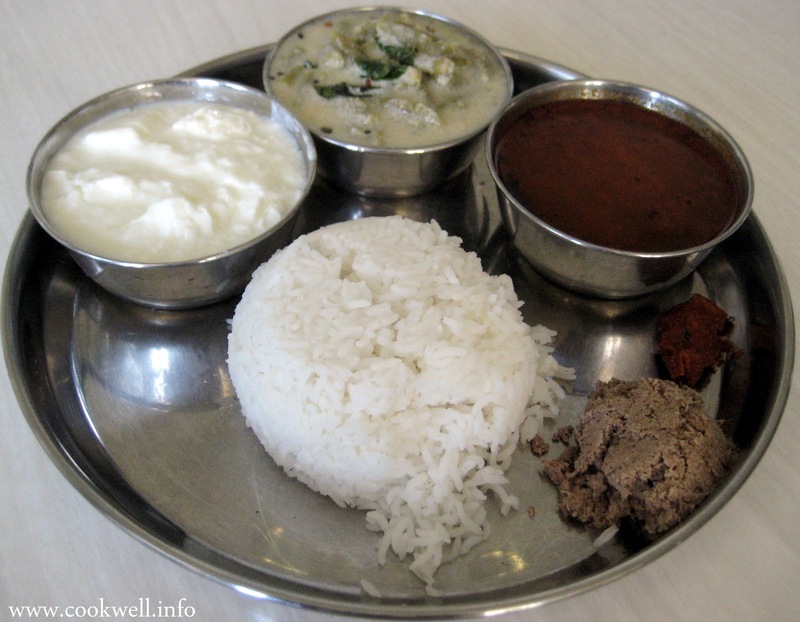 Very interesting and delicious curry..Drooling over that thali. 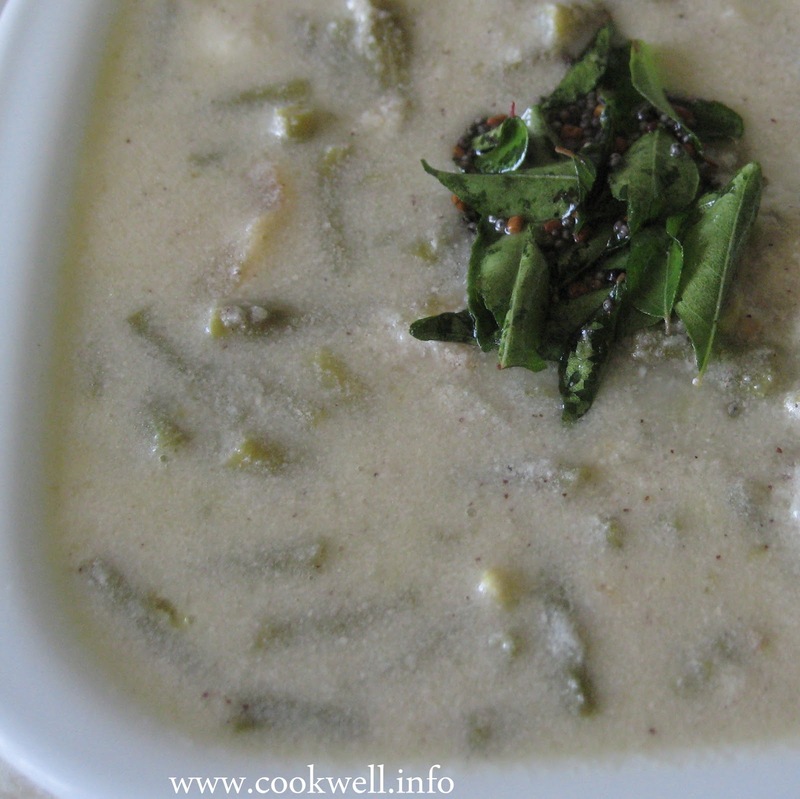 this curry is somewhat different which i never tried..
Little interesting recipe. Looks pretty. Interesting recipe want to try this havyka recipe soon!! Long beans in yogurt Looks Adorable!! !